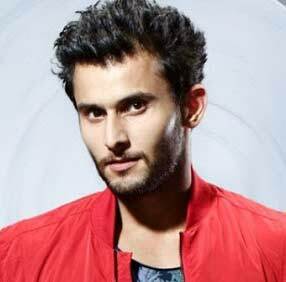 Rudra Oberoi Real name “ Leenesh Mattoo” Actors and cast in Game Of Love, StarLife. Leenesh Mattoo was born on the 18th of November 1991 in Mumbai, India. He began acting with suhani si ek ladki in 2014. He is a graduate of engineering and also goes by the nickname ‘Eddy’. He is a fitness freak and loves the gym a lot. Presently, he is starring on Star Plus show, ‘Ishqbaaz’. 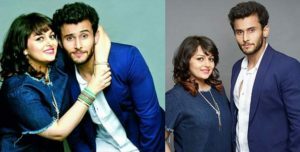 Leenesh Mattoo is in a relationship with his co-star, Nehalaxmi Iyer. Nehalaxmi played the role of Soumya in Game of love(Ishqbaaz) but quits along the way. She left the show but still kept in touch with Leenesh. They became friends and gradually turned into lovers. Well, an onscreen romance turned into real for Neha(Soumya) and Leenesh(Rudra). 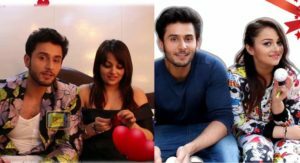 Leenesh Mattoo is playing the role of Rudra in Game Of Love (Ishqbaaz). Rudra is the youngest as well as the flirt among the 3 brothers. He is also comic, jovial and dramatic. He will found permanent love in Bhavya and marry her. Recently, Leenesh Mattoo and his Co-star, Kunal Jaisingh(Omkara) got a casting call from Dharma productions but they declined the offer. It was later seen that the call was a fake one and someone wants to cheat them by using a movie invite as an excuse. Anyway, the duo stopped at nothing in exposing the fake caller to the world. Ishqbaaz, Dil boley oberoi, suhani si ek ladki. Leenesh Mattoo is currently busy with his role as ‘Rudra Singh Oberoi’ in Ishqbaaz.